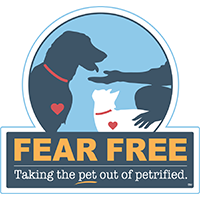 Anxiety: When a pet suffers from any type of fear, such as separation anxiety or fear from noises such as thunderstorms. Compulsive Disorders: Symptoms include shadow chasing, tail chasing, tail biting, flank sucking, wool sucking, and psychogenic alopecia. Nuisance Behaviors: This includes excess barking, jumping and nipping at people or animals, digging, chewing on furniture, clothes, shoes, etc. Species-Typical Behaviors: Examples include urine-spraying (marking their territory) or scent rubbing. During a behavior consultation, we will review your pet’s medical history so that we can identify all of the possible contributing factors. Once a diagnosis has been made, we can formulate a treatment plan that works best for your pet and their lifestyle. Some solutions may include behavior modification techniques, adjustments to the home environment, or prescription medication. 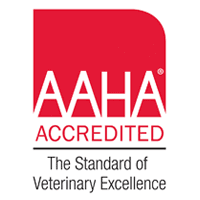 We will work closely with you with the behavior modification techniques recommended by our veterinarians, and address all of your questions and concerns. Follow-up appointments and treatment options are available and scheduled as needed. 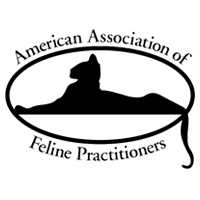 If your dog or cat suffers from anxiety or exhibits other symptoms of a behavioral issue, please call us to schedule a behavior consultation for your pet today. Learn more about Pet Behavior and Training by clicking here to browse through our dog and cat behaviour articles. Find a positive trainer or behaviorist in the Maryland - Beltway & surrounding areas.